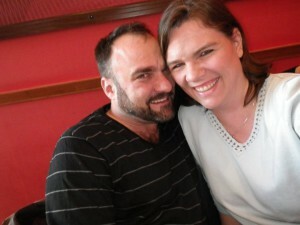 I adore my husband Gregg. I’ve blogged with you before about how our love story is a true “love at first sight” story. I love how he loves me. I love how he parents. I love how hard he works. I love his intelligence and how he always knows some piece of trivia to help me with what I’m doing. I also love that, like me, he’s always ready to travel. We’re quick to hop into the car, or on a plane, and just go. Our children have all been forced by circumstance to be good travelers since all three of them had their first plane ride before they were each six months of age. We love spending time together. We’ve spent hours upon hours singing songs, listening to books on tape, talking, planning, holding hands, finding good, local restaurants — we get much joy out of travel. We have often said that we’d be completely happy to live in a traveling motor home when we retire. However, as many many miles as we have logged in the last thirteen years of marriage, we have never truly had a vacation alone. When we took our honeymoon, my daughter, Kaylee, was five and she went with us. We drove from Alabama to North Carolina to West Virginia to New York to Wisconsin to Kentucky and met each others’ family for our honeymoon.We’ve been all over the world, but we’ve never had a vacation that was just the two of us that wasn’t somehow related to his military service, classes he had to take for his professional certifications (though I’m not complaining about the week we spent in Kuwait City while he took his CISSP exam), my writing and professional life, or visiting our large and extended family. We have managed one family vacation, in the summer of 2013, that wasn’t tied to anything but our little core group, but that was with kids and not alone. Saturday, Gregg and I are getting on a plane to go to Las Vegas. We are not taking our children. We are not even taking our computers. We have no family there. We have no work commitments. It will just be the two of us with NOTHING to do. NOTHING. I have no words to explain to you how much we’re looking forward to this. We’re both exhausted. It’s an odd vacation for us. We don’t smoke. We don’t really drink. We don’t gamble. But, we were offered tickets to see Celine Dion in concert and went ahead and decided to turn it into a week’s escape. Everything I do spawns ideas for books – so a week in what the world has labeled “Sin City” with my righteous husband I’m sure will spark many an idea. I’m really excited to see what comes out of it. But, I’m also excited to not work for a week and to give my brain a creative rest. Because everyone deserves a break, I’m giving you an escape, too. 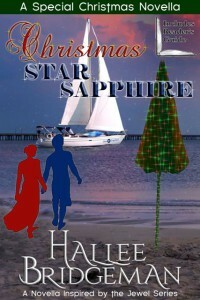 One commenter will win an autographed copy of my recent release, Christmas Star Sapphire. You can escape to Mobile, Alabama, and get to know Madeline Viscolli and Joe Westcott. It’s the perfect quick read to give yourself a mini vacation and get you in the holiday spirit! Have a wonderful trip, Halle! My dream vacation is to take a week off from work and just read. It doesn’t really matter where, although an ocean view sounds nice, but just me and my stack of TBR books. Safe travels! By an ocean would be wonderful! My dream vacation is to go to Paris. I would love to see the Eiffel Tower and learn more about the culture. My daughter dreams of Paris, too. She was in France this summer, but just the southern part in a multi-national tour. Australia is, too. I’m thrilled that I’ll be speaking at the Australian Christian Writers Conference in October next year! I can’t wait! Traveling to all National Parks via motor home. We would love that. Sometimes, I wish our family was a mobile homeschooling family, taking the kids all over the country. My dream vacation would be to go to Italy where my grandfather was from. See the beautiful sites and taste the wonderful food. I have a lot of places I’d like to see with my husband. The UK and New Zealand are on our list for sure, as are Canada’s Maritime provinces. Our favorite repeatable vacations have been to Vancouver Island. We both love long walks along the ocean, looking at shells, starfish, and rocks, or watching out for whales. I hope you two have a FABULOUS getaway! I’d love to take my husband to the Pyranees in the Basque region of Spain. I was there for a couple days 5 years ago and would love to go back. I think he would like it too! Hope your getaway is really special! I got to go on my dream vacation with my family. Since my grandfather was born in Denmark, my mother and I always dreamed of going there one day. Finally we did it–we went to see the Little Mermaid, Tivolli Gardens, the statue of Hans Christian Anderson, and the original Legoland! It was surreal!! Enjoy your vacay!! Looks like an interesting read…. My dream vacation would be to travel to Mount Pleasant SC to visit our son and daughter-in-love. :-) We live in VA and don’t get to see them as often as we would like to visit them. My husband and I used to take week long anniversary trips each year. We’ve traveled all over Oregon and parts of Washington, taking in everything we can! Our dream too, is to buy a 5th wheel/truck combo to live in and travel when he retires :-) Traveling is a passion we both have, but work & finance constraints have greatly limited us. Our kids were also well traveled as youngsters, visiting many places! So I guess my dream vacation would be anywhere we can be together and have some couple “down” time :-) We’ve talked about the places we’ve been too and the possibility of going to some places we’ve never gone. We also like the quirky odd places that few frequent….you know say, the worlds largest ball of string or something….lol! 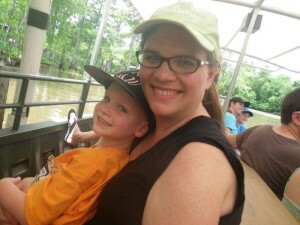 We love discovering “off the beaten path” places to explore, eat at, walk around or see. I think the fun-est (I know not really a word) place we’ve been to was the lava beds in central Oregon. I can’t remember the name of it, but they have a walking trail along where the lave flowed years ago & made for an eerie landscape! You’re surrounded by red rocks and nothing growing around you. We like history, so visiting places with a lot of history is fun too (museums and the such). Fun post, Hallee! I hope you and hubby get to have a nice relaxing time ALONE together doing whatever you wish…or nothing at all :-) The most important thing is, you’re with each other. Now I want to plan a vacation…haha! Have a great time in Las Vegas. You deserve some alone time with your hubby. I have travel led and worked all over the world, too. It’s been a great adventure! Have a wonderful time, Hallee and Gregg! I bet Celine Dion’s show is phenomenal. It’s hard to choose one place for a dream vacation, isn’t it? I’d love to tour Ireland with my husband. I would love to take a grand tour of Europe like a rich young people used to do. No rush and plenty to see and experience!